If you’ve been keeping up with this blog for a while, then you may know that I’ve been testing Cerulean Studios’ latest version of Trillian which has been coined for some time as “Astra”. 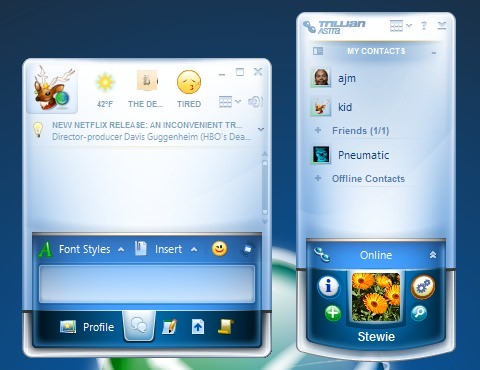 Trillian gained a great deal of popularity in recent years when Trillian 3 was released and harnessed instant messenger features that had never before been seen. Today, Cerulean Studios officially removed the restricted access and have made Trillian Astra available to everyone! Just head on over to the download page if you want to check it out! While Trillian Astra is still not in a final release stage, it should be close enough for you to depend on as your main messenger. I will be interested to see how Trillian Astra competes with Digsby now that they are both openly available to the masses.